The EEC, together with the Washington State Minority and Justice Commission, is proud to host a five part professional growth series around the school-to-prison pipeline. The first of the series “Eliminating the Pipeline” will be held on April 27, 2017. Educators and those involved with the justice system are encouraged to visit our event page and learn more! Earlier this legislative session, the EEC supported Senate Bill 5155 which prohibits suspension or expulsion of students in K-2. The bill represents EEC’s longstanding commitment to ending the unfair disciplinary practices that disproportionally affects children of color. Read why we supported SB 5155 here and why the EEC will continue to target policies and procedures related to discipline to improve educational opportunities and outcomes for all of the state’s students. This entry was posted in Blog, News on April 17, 2017 by Sigourney Gundy. Washington’s Learning Assistance Program (LAP) currently serves 13% of the state’s students who are scoring below grade level standards in English Language Arts (ELA) and mathematics. While the program offers supplemental services to boost academic and/or readiness skills, LAP is part of the program of basic education program as defined in the state’s constitution. The EEC strongly believes that existing appropriations and statutory policies for LAP are resulting in inequitable access to services, exasperating educational and opportunity gaps, and underserving our state’s students of color. Read more about the EEC’s recommendations for the Learning Assistance Program in the 2017-19 biennium here. Starting Sept. 30, 2015, a group of senators will go on the road to hear from the public about school funding. The Senate Early Learning and K-12 Education Committee plans at least seven work sessions through October. This entry was posted in Blog on September 21, 2015 by Sharonne Navas. This entry was posted in News on May 26, 2015 by Sharonne Navas. At its regular meeting tonight, the Renton School Board of Directors accepted the resignation of Dr. Merri Rieger, who is leaving to pursue other career opportunities. Dr. Rieger was hired as superintendent in July, 2013. Her resignation is effective June 30, 2015. Renton School Board members and Dr. Rieger mutually agreed in order to provide a smooth transition for an interim superintendent, she will step aside from the daily superintendent duties, effective immediately. Board members thank Dr. Rieger for her service to the district and wish her well in her future endeavors. This entry was posted in News on May 17, 2015 by Sharonne Navas. 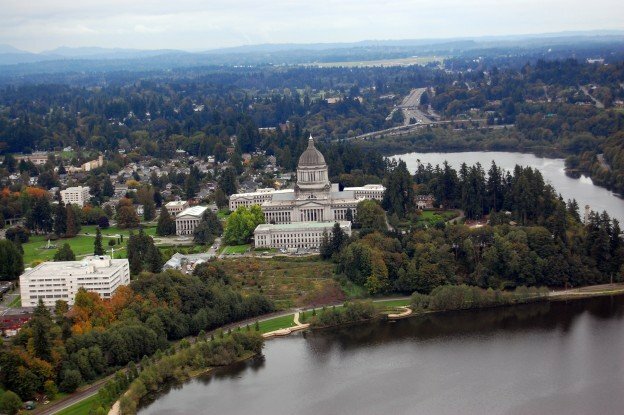 This week, the House Finance and Appropriations committees held hearings on a revised capital gains tax proposal (SHB 1484) as well as a slimmed down carbon pollution revenue proposal (HB 1314.) Although both revenue generating proposals had been reduced in its impact to affected stakeholders, the opposition by business and industry interests remain. On Monday, the Revenue Forecast Council will release an updated forecast, ahead of schedule. Both the Senate and House are hoping that there will be enough new revenue to bring them closer to a budget deal. The forecast will be available at 2:30PM. This entry was posted in Blog and tagged Legislative Session 2015 on May 17, 2015 by Sharonne Navas.